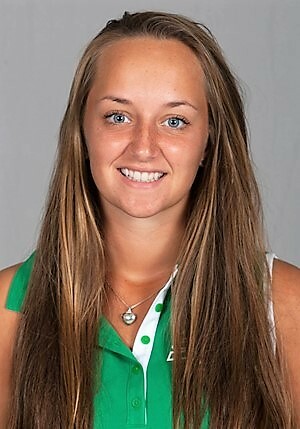 Stetson University team-mates Paige Kemp - whose mother comes from Stirling - and Eilidh Watson from Dollar shot 157 and 170 respectively over the first 36 holes of the University of Southern Florida (USF) Intercollegiate over a par-71 course of 6,145yd at Lutz, Florida. Paige scored 79 and 78 for a T25 placing with one round to go while Eilidh had scores of 81 and 89 to be 63rd overnight. Three players share the lead on 148. Tilda Larsson (Barry) scored 75 and 73. Natalia VillavicenciO (Southern Florida) had a pair of 74s.